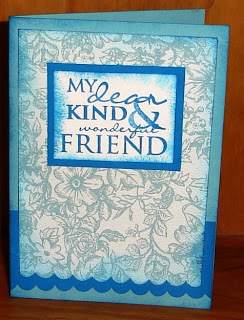 Stampin' Up!® have two border punches in their current Idea Book and Catalogue. Both work the same way. 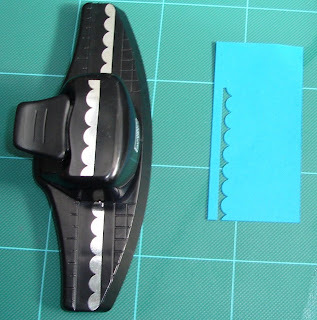 The one I'm using in my tutorial is the scallop edge punch. I've cut a piece of pacific point cardstock to 105mm. The width of a standard folded A5 card. This is my finished size. 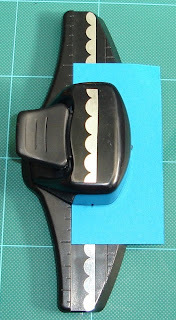 I've centred the cardstock in the punch using the marking on the sides of the punch. 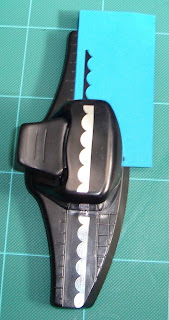 Push down the punch lever, I use the base of my hand, and you have a scalloped bite cut from the centre of your cardstock. Line up your punched scallops over the silver shapes on one end of the punch and punch. The scallops are joining up perfectly. 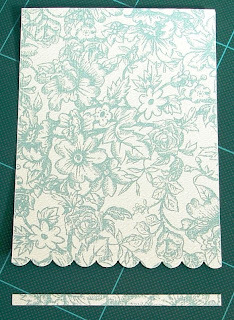 I've also scalloped a narrower piece of Parisienne Breeze Specialty paper in the same way. 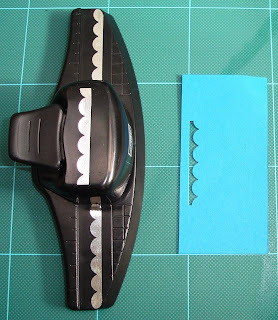 You can save the offcut to use in your project. Here's the finished card. Because I started from the centre on both pieces the scallops line up perfectly. 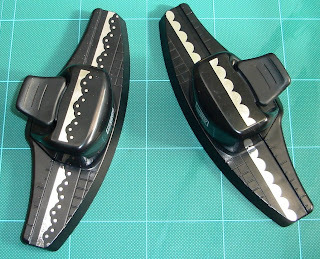 Starting from the centre also makes it easy to keep your punched edge straight. Thanks for viewing my tutorial. I hope it's been helpful for you. If you have any questions don't hesitate to EMail me.